CarGurus has 50,379 nationwide F-250 Super Duty listings starting at $1,995. The 2007 Ford F-250 Super Duty pickup is one of the most eagerly-awaited vehicles Ford's announced in recent years. And unfortunately, because of ongoing conflicts with diesel V8 vendor International Truck, those of you who want an '07 F250 Super Duty may have to wait a while, no matter how eager you are. The rugged '07 Ford F-250 Super Duty has a sturdier frame and stiffer suspension than most people ever need in the suburbs. If you're doing serious hauling, though, you'll appreciate the Super Duty's impressive payload capacity: the 2007 Ford F250 Super Duty can carry up to 3,200 pounds and tow up to 12,500. Of course, you'll need a tough engine to get that kind of power. Buyers have a choice of three: a 5.4 liter Triton V-8 (300 horsepower, 365 lb.-ft. of torque); a 6.8 liter Triton V-10 (362 horsepower, 457 lb.-ft. of torque); and the somewhat ill-starred International Truck diesel V8 plant, a 6.4 liter model putting out 370 horsepower and 570 lb.-ft. of torque. More than half of the backlogged pre-orders for the F250 Super Duty are for the diesel engine; if you want the gasoline mill, you may not have to wait quite as long. 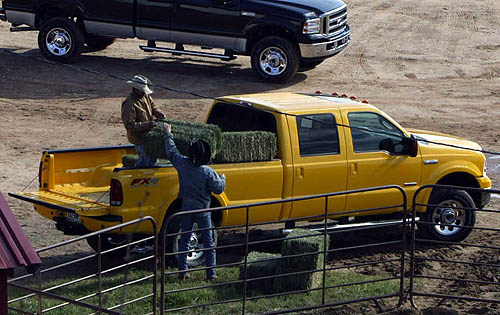 Three trims are offered for the Ford F-250 Super Duty: XL, XLT, and Lariat. In addition, there are a range of options packages including Harley-Davidson, Outlaw, and Highline. 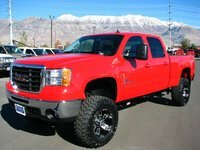 What's your take on the 2007 Ford F-250 Super Duty? 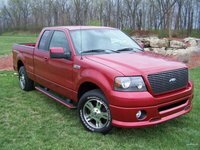 Users ranked 2007 Ford F-250 Super Duty against other cars which they drove/owned. Each ranking was based on 9 categories. Here is the summary of top rankings. Have you driven a 2007 Ford F-250 Super Duty?